Critical Cycles wheels out their brand spankings' new beach cruiser. Hop on and ride happy with this classic bike style reminiscent of a simpler time. The brains at Critical Cycles put ease and comfort at the top of their priority list when designing this cruiser. The hand-built steel frame bestows upon its riders the smoothest of excursions, as it's much more absorbent than aluminum and our handlebars come up nice and high for an especially comfortable upright riding position, which is ultimately better for your back. Our lovely little lady comes in a mixte-style, making mounting and dismounting a walker, a ride in the park. 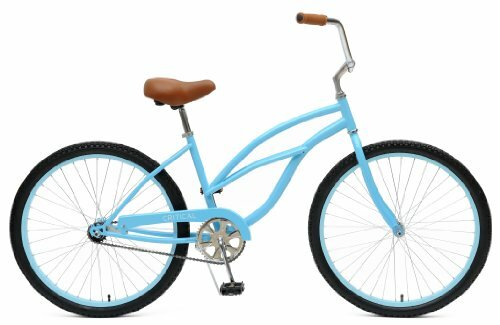 The wide tires, cushy wide saddle and soft foam grips augment the easy breezy cruising you're about to do up and down the boardwalk and all around town. This single-speed comes complete with coaster brakes, which are essentially synonymous with cruisers. The simple mechanism allows you to control your movements with your feet, like it isn't no thing. Now, step away from your desk, close your eyes and breathe in bliss. 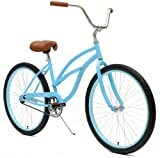 You can see yourself on a Critical Cycles Beach Cruiser, can't you? We know.